What does it take to make an audience believe? 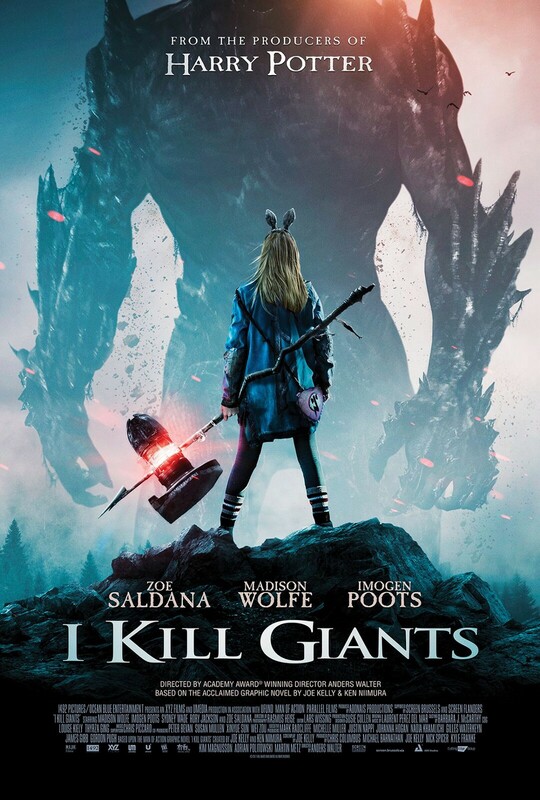 Oscar-winning director Anders Walter chats suspension of disbelief, film, influences, film-making and much more as it relates to his latest, I Kill Giants, in theaters VOD and Digital HD today. The magic of the movies lies primarily in how we as the viewing audience willfully suspend our sense of reality, to be transported into another world for 2 hours. This suspension of disbelief defies attempts to tame it quite often (as I've written before in The 405), like the tricky beast it is. The most astute and bold film-makers, however, like the fearless lion tamer facing the snarling creature in the corner of the cage, stare it down with a steely-eyed gaze which paradoxically weaves it subtly but sturdily into their story – transporting the audience to another world in the process. I had a conversation recently with Oscar-winning director Anders Walter on this very subject, and many other intricacies of film-making as they relate to his latest picture, the Joe Kelly-penned psychological adventure picture I Kill Giants – based on Kelly’s graphic novel and produced by Chris Columbus – in theaters and available on VOD / Digital HD today. 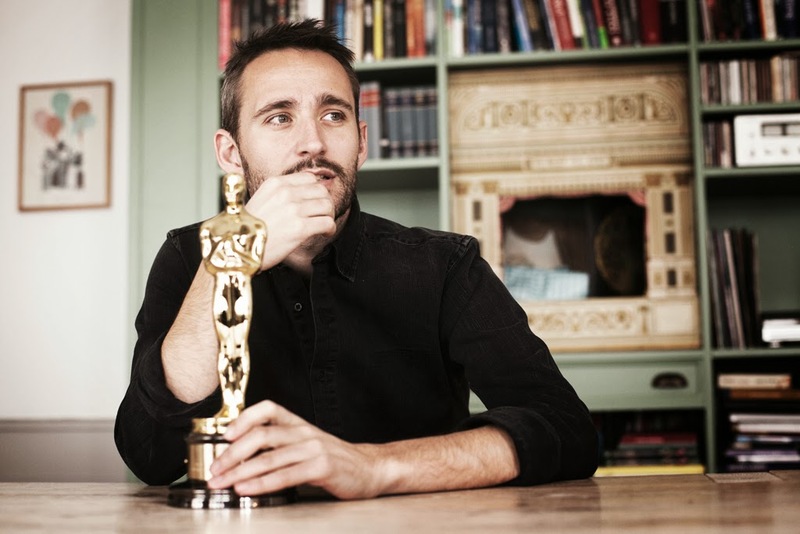 Anders Walter with his Oscar for the 2013 short film HELIUM. Madison Wolfe plays 12 year-old Barbara Thorson – an outside to her peers, but oozing personality, sass, and life… Walter below justifiably calls her "a pistol." In getting to know the raw, tough Barbara, we get to see her world of giant slaying (emblematic hugely of her fears), and this is the magic of suspension of disbelief, that blends seamlessly with what we know is real in the film's world. 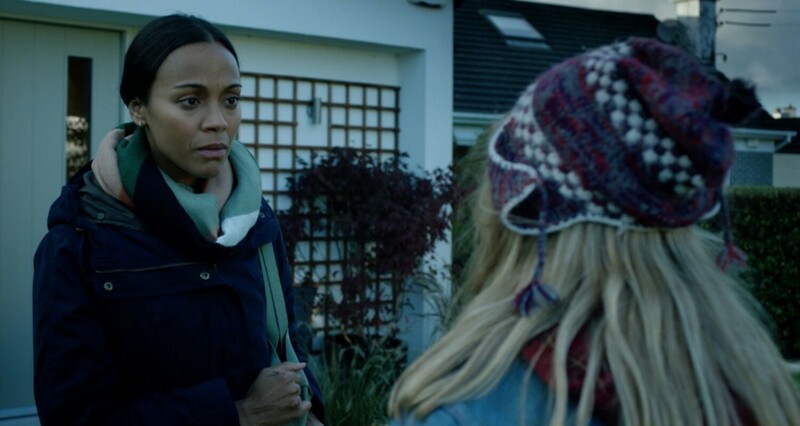 In that process, we are also privy to Barbara's psychological development – we get to ultimately see the genesis of her giants and her courage (and obstinacy) in fighting and killing them, aided by her friend Sophia (Sydney Wade), big sister (Imogen Poots), and a caring green-horn school psychologist (brought to life by Zoe Saldana) who dares to care and offer herself in friendship to Barbara when she sees the youngster is having trouble. Walter and the cast do an astounding and thorough job of giving life to the real sphere of the film’s world and the sphere inhabited by Barbara's giants – expertly blurring the lines for much of the film. In this way and others, I Kill Giants shows tremendous respect for its viewing audience: letting them figure out the ambiguity. Yet, the film makes suspending our disbelief easy and oh so pleasurable an experience too. I Kill Giants is much more than great entertainment. The film boldly sketches one little girl's grappling with her demons, her giants, in an epic pattern that keeps the audience rooting and at times holding their breath in anticipation of the action. Walter really kept the tenser moments of the film taut as they should be, not skimping on ambiance and atmosphere, that the pay-off when the tension breaks is all the more profound. In the end, I Kill Giants is a bold, epic psychological journey that we are led on by a trail guide with a deft and thorough understanding of the bumpy terrain that is the human mind. I hope you enjoy and learn from this chat with that guide – as I did. Hello Anders and welcome to The 405! I thought we'd start with a question I pose to most everybody: Favorite films and directors? I'm curious about which you would consider most pivotal on your development as an artist? The one that probably shows in my work a little bit is obviously Steven Spielberg. You know, growing up in the '80s and being exposed to all the good stuff from the '80s. I have a theory that all the films that end up being your favorite films are films that you see between age 10 to 16 or 17. Those are the ones that really make an impression on you. I am a big fan of a couple of my fellow Danish directors like Nicolas Winding Refn and another Dane, Thomas Vinterberg and a lot of other film-makers I love. Right now I'm really digging anything that Mr. Denis Villeneuve is doing. Not only Blade Runner, but the last 5 or 6 of his productions have been a tremendous inspiration to me. Absolutely. I really dig your theory too – it makes sense. What makes a great film? I think a great film is a personal film. Even big productions can be personal. I think Forrest Gump for instance, that's a personal film that almost feels like it was made for a guy like Robert Zemeckis. The same goes for E.T. – I think that's a very personal film for Spielberg, even though it was a big production and became a big massive hit. Talking about Refn's output, I think Drive is a very personal film. You feel that there's a certain connection between the director and the material – where it kind of becomes magical. As a director, you can't always do that, you can't do magic every time. I think sometimes, though, the right material finds the right director and the magic happens. It's those kinds of films that I think will be everlasting films, the evergreens. I think it's very much about a personal relationship of the director to the material. 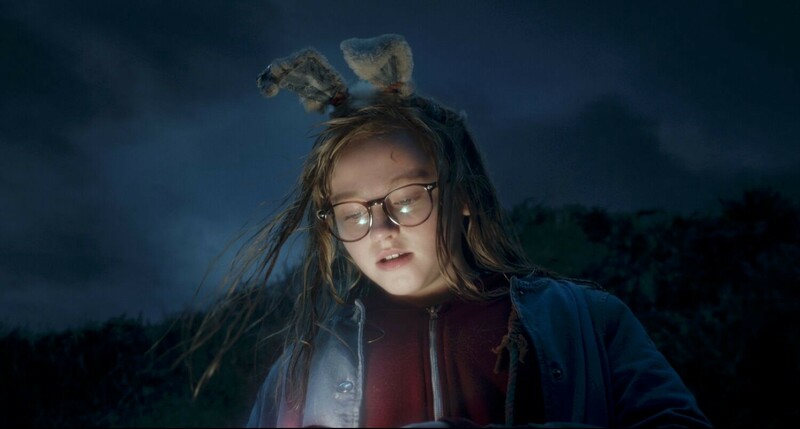 Madison Wolfe as Barbara in the adventure fantasy film I KILL GIANTS a RLJE Films release. Photo courtesy of RLJE Films. That's a perfect way of looking at that adjective "great" as it relates to film. Getting into I Kill Giants, what initially attracted you to the project? The screenplay, because coming off the Oscar win for my short film Helium, I was somewhat against doing an American production. I'm a Dane, I've done 4 Danish short films, and I wanted to do a Danish feature because I thought I could do my most personal work in Danish, in my language. 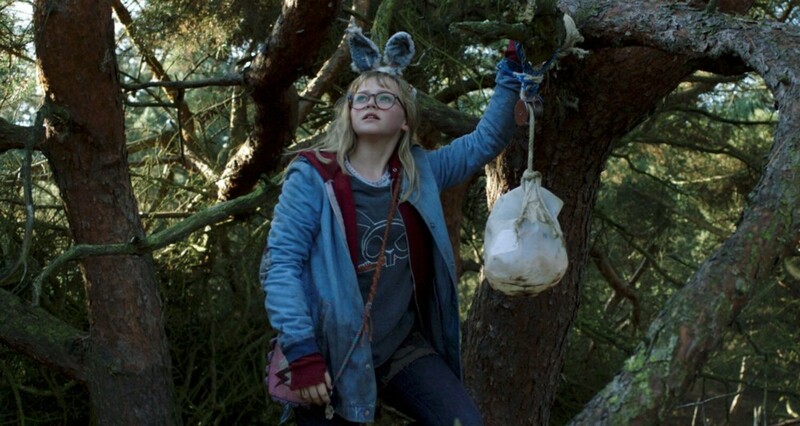 But then the script for I Kill Giants came around and I fell totally in love with the characters. Most of all, I fell in love with Barbara – I thought she was a very unique and very special character. I was drawn to her and that was my way into the story. …(the film's real world and Barbara's world of giants). I'm wondering if we could get an idea of the challenges and the creative process in creating those worlds. How do they function separately and together? …where you keep the audience guessing for quite some time. So, that was very important for me, and I said that to everybody when I came on board (and I said that to everybody in their roles), that everything that was obviously imaginary elements had to leave the screenplay. I like that approach. It heightens the suspense in the picture and also shows great respect for the audience: letting them figure it out. A couple of things in the graphic novel, toward the beginning of the graphic novel, where Barbara is talking to fairies and other typical imaginary creatures. That, to me, kind of gave the whole concept away because you right away knew that she had this parallel world going on. I wanted people to be guessing about this for quite some time. So, for me it was very important to, in the cinematic language, to not sort of make too much of an effort in splitting these 2 worlds apart. It really had to feel like a natural thing. Also, of course, we do suggest quite a lot in the beginning of the film. You don't see that much – its like when she's in the forest, half an hour in, and there's this backlit creature and the fake mist. That appealed very much to me to suggest certain things until [SPOILER] that very last moment when you finally get to see the titan. So, for me it was just very important that the hints that were given were always in favor of believing Barbara. Of course Barbara does come along as a unique character right from the beginning. I really wanted people to go on the journey with her, and to believe, at least for a little bit, in what she saw, and that what she was real. Yeah, just being really strict about taking things out that were obvious imaginary stuff, not to kind of confuse people. (L-R) Zoe Saldana as Mrs. Mollé and Madison Wolfe as Barbara in the adventure fantasy film “I KILL GIANTS” a RLJE Films release. Photo Courtesy of RJLE Films. I'd say you did very well – you certainly succeeded. The emotions explored in I Kill Giants were evocatively expressed – the pains of belonging, wrangling with death, wrestling with one's identity. I really liked how you explored them because you didn't dial down the tension in areas of the film to do it. What were your main goals in deciding how to communicate the intense emotions in the narrative in a way that really resonates but doesn't alienate the film&'s essence as fundamentally inspirational? Yeah. I wouldn't call it a "family movie", but her story is "inspirational." …For all ages. But quite fast I learned from Chris and the other producers that that wasn't their purpose in being involved with this project. They totally got and understood that the whole film basically lived on Barbara being such a quirky and special girl. Very apt descriptor for her. Address the world in a very provocative way. That was part of the charm for me and why the film does become rather "tense" from time to time. So when you finally realize what the hell is happening, that tension you've been building throughout the film really fuels the high emotional level at the end. What do you hope the audience will take with them most from the film? Basically, this film is about a girl who is in grief and who, being helped by other human beings, in the end, what really helps Barbara come out the other side and accept that [SPOILER] her mother is going to die, is being vulnerable and opening up and letting other people in, the school counselor and of course Sophia and her older sister. So it's really a film that shows that only through relationships, through other human beings, that is the way in the end to go if you want to be a whole person again after you experience a trauma. Especially for a kid. So, it is really a story about the human potential and it's definitely about friendships and relationships and the love you get from people who are trying to help you and accepting that and being open to that. I would certainly agree there. Last, what is next for you? Oh, yeah. I have a couple projects that I'm shopping right now in Hollywood. I have a Danish production also, and a couple of things in London. …you never know where you're going to find the next one. I do hope that I Kill Giants can help finance the next one. I hope so too and fully recommend it to our audience!